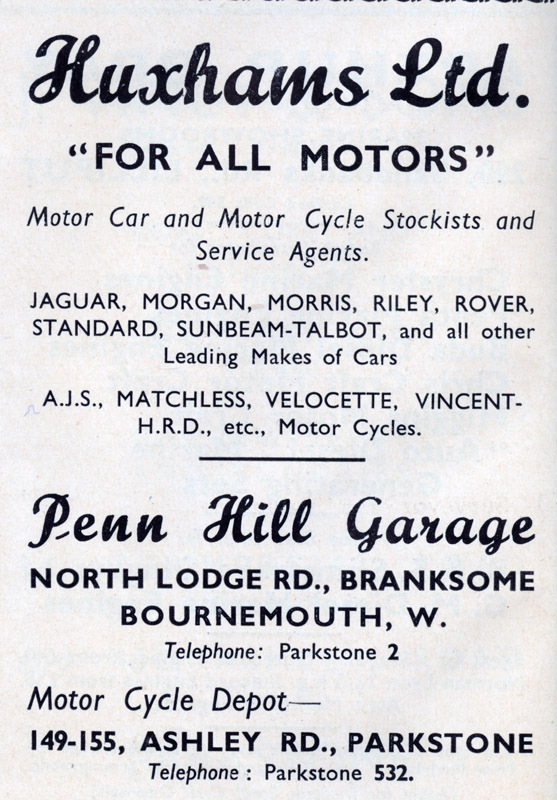 Advert for Penn Hill Garage. North Lodge Rd Branksome. 145-9 Ashley Road. Tel Parkstone 2 & Motor Cycle Dept 532.